I’ve never been much of a runner. I do it occasionally, but it has never really captured me. Writing has. My whole life, I’ve enjoyed it. I did fairly well in my writing courses in high school and college (when I decided to try, that is) and the ability to express myself “on paper” has served me well in both my personal and professional life. A few years ago, I started this blog. I had no idea what I was doing and I’ve been writing here in fits and spurts, going around and around about whether or not this was actually what I wanted and WAS CALLED TO be doing with my time. A couple of months ago, I decided to stop messing around and get serious. I don’t know if it was God finally releasing me or me finally releasing myself, but I finally decided to stop casually dating writing on the sly and stand up in front of my friends and family and IN THE SIGHT OF GOD make a commitment to it. So I did. And the journey began. And I was in no way prepared for how hard it would be. And it’s not even the writing that’s the hard part. Nope, it’s all the other sh…STUFF that comes up and makes me want to spend some days hiding in my closet with a blankie, tea, and my Bible. If you want to avoid dealing with your own issues, do NOT become a writer. Or do anything else brave and stretchy. Because your sh…STUFF is going to come up and you’re going to have to deal with it. Like I said, I’ve never been much of a runner- power walking is more my jam (and I do love to power walk). But I have friends who are BFF’s with running and when they talk about stepping up their game from casual morning jaunts to something like a marathon or a Ragnar relay, they describe experiencing something similar to what I’m discovering while becoming a writer. Moving from casual running to training for longer distances means that little things are going to have a bigger impact. That ankle that starts bugging you toward the end of the third mile of your Saturday morning 5k? That’s gonna be a much bigger deal when you’ve got 23.2 more miles left to go. Having trouble sleeping at night? That fatigue is a huge issue when you’re running the distances required to train for a marathon. And you’re definitely going to have to start fueling your body better, those empty calories are no longer going to cut it. When we stay in the shallow end of the pool, stick to quick morning jogs, or write casually for funsies, we can get by with our brokenness. Those little things that fester just below the surface can stay under the radar and for the most part, we can pretend they’re not there. But when we do the BIG and the BRAVE and the DIFFICULT, when we stretch ourselves and reach for bigger and greater things, all of a sudden those things rear their ugly heads and REQUIRE that we deal with them, otherwise they’re going to stop us dead in our tracks. That ankle? For me that’s the comparison trap, I’m terrible about comparing myself to other people (and I ALWAYS end up finding myself lacking). The sleep issues? That’s self-criticism. 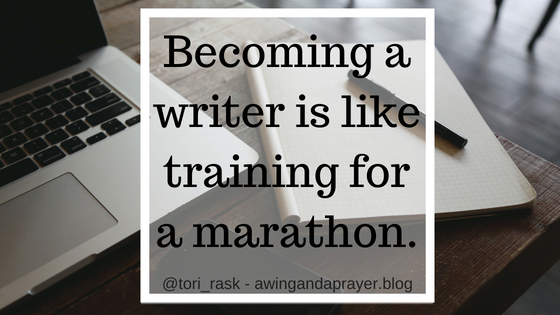 I can be SUPER hard on myself and when it comes to writing, that can be absolutely crippling. The diet and empty calories? That’s me needing to be careful about how I spend my time, energy, and attention. If it doesn’t build me up, nourish me, and make me stronger, it’s gots ta go. Buh-bye. And it’s hard work. Hard, HARD work. And often times, it’s painful and unpleasant. and it can take a long time, much longer than we would like. But you know what? It’s good. And it’s important. And it’s even holy and sacred. We are stronger- MUCH stronger- for having dealt with that ankle and battled back against the comparison trap. And for me, it’s all underscored by a pressing, frantic, desperate NEED! FOR! GOD! The One who created me, redeems me, loves me unconditionally, knit me together in the womb, knows my every anxious thought, The One from whom NOTHING is hidden- even the things I’ve been trying to hide from myself. Anything that deepens my need for Him, causes me to seek Him, allows Him to reveal more of Himself, His nature, and His truth to me is never a bad thing. Like an aspiring marathoner, I have goals. Mine isn’t a finish line with a time attached, mine looks more like a book, maybe, and definitely the chance to write and speak to women and moms about our worth, our identity, our strength, and the need to FIGHT FOR OUR LIVES against the lies that Satan tries to sell us. I’m working every day toward those goals. But even if I meet my own personal Heartbreak Hill in mile 20 of my race and don’t cross the finish line, I will be so much stronger and better for having done the work. Guts, grit, and grace are refining me, drawing me nearer to God- and it’s worth it. It’s worth every single time I curl up under the blankets and cry, “I CAN’T DO THIS!” and then do it anyway. It’s worth every time I blast “Not Today, Satan” by KB in my headphones to shout down the lies. It’s worth fixing this bum ankle and getting my daily nutrition right. If you can relate to this post, then let me know. Because I want to be praying for you and cheering for you. Praising God and you for the courage you have to take your marathon journey, to do the brave and stretchy thing- the thing that brings up all your sh…stuff and makes you deal with it. You are a warrior. I am a warrior. And goshdarnit, I AM a Writer. Spring has (FINALLY!!!) sprung here in the Willamette Valley of Oregon. Trees are leafing out, flowers are blooming, people are sneezing, and we’ve all begun sprucing up our yards. This year, Jeff and I decided it was time to stop messin’ around and hired a crew to come in and basically lay waste to our front yard. The weeds were pulled, the grass was edged, the shrubs were trimmed. But also, some stuff that we (or the previous owners) had planted on purpose got ripped out as well, things we didn’t like, that were hard to keep up, looked messy, even things we were just kind of “meh” about. Right now, our front yard looks neat, but a little barren as it waits for whatever we’re going to do next- and frankly, we haven’t even gotten that far yet. We’re gonna plant stuff, that’s about all we know. As I watched this process unfold over the course of a few hours on a rainy Friday morning, it jogged something in my mind, a memory of what the past year of my life has looked like. It was almost exactly a year ago that God began a process in me that looked an awful lot like what was happening in our yard that morning- and left the landscape of my life looking very similar to how our yard looked after the workers left: stripped down, a little empty, and awaiting new planting. Over the course of the past year, God has gone on a pruning spree. People, places, spaces, relationships, endeavors: Gone, gone, gone, gone, gone. And it’s not just the weeds we are talking about here, we are talking about stuff I had planted in my life on purpose- even and especially stuff HE had planted- stuff I had cultivated, nurtured, watered, and grown in a way that probably made the plants in my front yard exceedingly jealous. And unlike the workers in our front yard, I did not get to tell God what to take out. As a matter of fact, He went for some things that I very much wanted to keep- and I fought Him tooth and nail as He took them out, digging in my heels, clinging until my knuckles were white, probably making quite the scene in the process. But when I pictured God doing the work of pruning, I pictured withered branches, failing bushes, toxic weeds, dead weight. And I envisioned it feeling good, like having burdens lifted or split ends trimmed off. I didn’t imagine Him cutting off vines that still had lush leaves, ripping out shrubs I had planted and tended and even loved. And I didn’t picture it hurting so much. I didn’t picture Him pruning GOOD things, and yet He did. They were things that had been life-giving, iron-sharpening, and had changed me for the better in their season. I have grieved for the things He pruned, I have experienced anger and even betrayal as they’ve been taken, and I have struggled mightily as some toxic weeds like resentment and bitterness have tried to take root in the empty spaces they left behind. But God is always good, no exceptions. Through this season, He has taught me some new things about the times when He’s moving in ways I don’t understand. Just because it hurts doesn’t mean it’s bad. Because the pruning didn’t feel like I expected it to, it was quite awhile before I recognized God’s hand in what was happening. As a matter of fact, there were times when I wondered where the heck God was as the landscape of my life was being uprooted in painful ways. But God is everywhere at all times and just because it’s hard doesn’t mean it isn’t holy and blessed. Just because things were pruned doesn’t mean they were bad. Sometimes God prunes things because they weren’t good and we just couldn’t see it. But even the most life-giving things can have an expiration date in our lives, a point when it’s time for them to give way to what’s next. We don’t have to let the pruning cast a shadow on the graces of seasons past, what was good in our lives will always have been good, even after its time in our life is over. Just because they’ve been pruned doesn’t necessarily mean they’re gone for good. Some things are gone for good or will remain permanently as a shadow of what they once were. But some things God trims so they could grow back better, fuller, and healthier. Some things need to be gone for awhile but will sprout up again when their season in our lives return. God can redeem, restore, and revive anything so I’m keeping a door open in my heart for these good things, maybe they will have their time again. Unlike our yard, which still awaits us getting off our rear ends and planting new things, the empty spaces in my life are beginning to be filled in. Some new things are starting to sprout, some existing things are starting to expand into the empty spaces, all good and beautiful growth that was enabled by the painful pruning season. But some of the landscape is still blank, and much like our yard, it looks and feels little barren as it waits for whatever He’s going to do next. I feel like I’m only seeing a small piece of what He has planned, but my trust muscles were also strengthened through this pruning. I don’t know what He’s got planned, all I know is that He’s going to plant stuff and it’s going to be beautiful. If this post resonated with you, check out this episode of Annie F. Down’s “That Sounds Fun” podcast featuring Tauren Wells, one of my current favorite musical artists. In it, Tauren uses the term “divine expiration” to describe the end of the season of things in our lives I can’t recommend it enough. And sometimes it is intentional. When the enemy gets in people’s ears, whispering lies that they are “less than,” they may try to soothe the ache by putting us down to make themselves feel like they are better than someone. But the common theme is the same: In that moment, the image of God in us gets obscured. Someone doesn’t acknowledge the Imago Dei in us, we lose sight of it in ourselves, and our crown feels like it slips a little. But the thing about God’s truth is that it is ALWAYS true. NOTHING changes our status as Daughters of the King. Nobody can take it from us, not even ourselves. Just because someone else doesn’t recognize it doesn’t mean it’s not true. Just because WE don’t recognize it doesn’t mean it’s not true. So when you feel that crown starting to slip, run as fast as you can to your Father the King. Whether it’s coming from someone else or just your own insecurities that are making you feel “less than,” lay it at His feet and let Him flood you with His truth. You are both created and called by your Father in Heaven, a chosen daughter of the King. Your worth is in Him and He is worth more than everything. 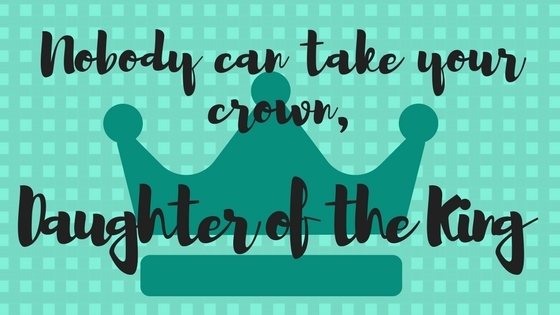 You were crowned by the King of Kings, so NOBODY can take your crown. My church died this weekend. I mean, I know that’s not an actual thing. It’s not scripturally sound nor does it reflect the actual future of our church family. But right now, that’s how it feels. My husband and I have desperately and deeply loved the small, closely-knit community that has resulted from the faithful work of church planters who we have come to love like family. It’s the only church our babies have ever known and the only church where either of us have ever felt truly at home. But we were faced with making a transition as a congregation that we were not able to weather and this week, we held our last service. As I opened my pastor’s email last week and read the words I had been dreading hearing for weeks, even months, I was hit with exactly the same sense of intense loss I had been expecting. But unexpectedly, I also felt God moving in my heart and filling it with a sense of the sacred, with a certainty of His goodness, the perfection of His ways, and the hopeful promise of His plan. Intermingled with the sorrow, I felt a deep and holy conviction that the work God was doing through this sad, sad thing that none of us ever would have chosen was important and good. And so hope was born into my heart at the same time that grief was. It felt so strange to me to be holding grief and hope together in tension with one another, fully convinced that each is right and good and a fitting tribute to what I was experiencing. When grief and hope intermingle, our worldly selves can feel wrong or guilty about it. We can feel like the hope does a disservice to the depth of the loss we are experiencing. 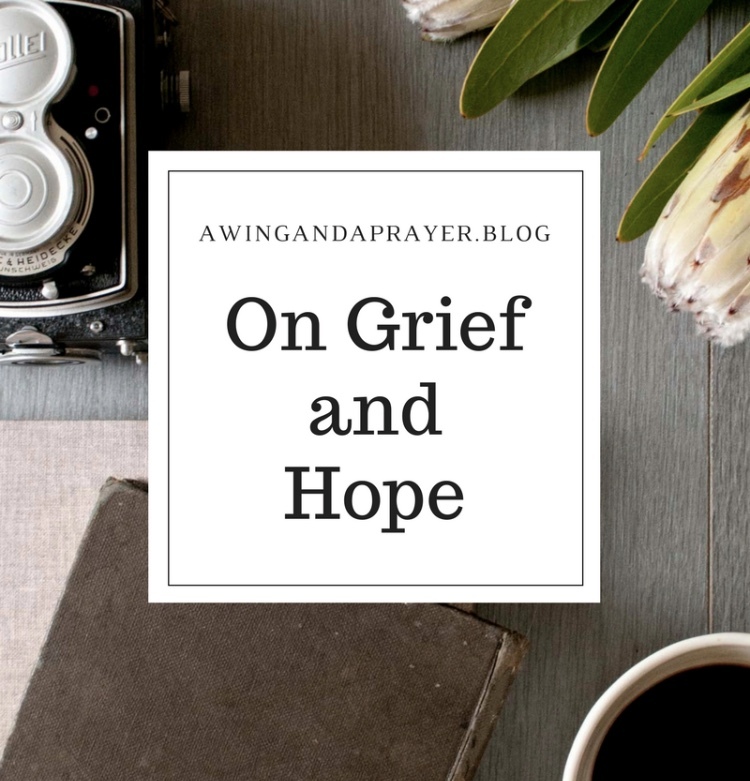 We can also feel like the deep sorrow, pain, anger, and other feelings that come with grieving are affronts to the blessed hope in which God calls us to trust. Surely we shouldn’t feel hope in such a sad time, and surely our sadness means that our faith isn’t deep enough. But for Christians, Jesus’s life and death stands as our central example of the myriad ways that the Kingdom of God trumps the ways of the world. The passion and death of Jesus are a perfect example of how deep grief and sacred hope can occupy space together. God’s perfect plan for all of us was unspeakably sad. To walk through it yearly during Holy Week is heartbreaking, I can only imagine what it was like to live it. And yet, that desperately sad event also ushered in the greatest hope of all time. Proof that God can bring beauty from ashes, that even His good ways can be hard, and that grief and hope can exist together in the sacred. I am writing this during the season of Lent, Holy week is coming in just a few weeks. The events of Holy Weeks will feel real for me this year in a new way. Grief and hope together are even more real for me this year- and in that, hope may start to win out. I’m sure part of me will never fully stop grieving this loss. At the moment, I’m angry in my grief and a bit snarky with God from time to time. But the rest of the story for our church family has yet to be written- and we really are a family. We will continue to be a family and the blessings of what our pastor, his wife, and their team have built will keep unfolding. And one of them for me is the total certainty that my grief and hope can coexist, that the feelings in our hearts and the truth of God’s promises are NOT mutually exclusive. It’s a message dripping with the same grace and warmth from the heart of God that characterized our church. Such a fitting tribute to our story, which is still unfolding- even as we turn the page. The story of the Samaritan Woman at the well in chapter 4 is probably a familiar one to just about anybody who has studied Jesus or attended church for any length of time. In it, Jesus meets a woman at a well and asks her for a drink. She learns that he knows all about her difficult and sin-filled past (and present), he tells her about the LIVING water, and she goes off and tells the people in her village about Jesus and many come to believe because of her witness. As is the case with EXACTLY ALL of the stories about Jesus’s words and deeds, there are layers and layers of good things to unpack and digest and be fed by. I could take just that story and write a month’s worth of posts on it. And then come back in a couple of years and see it with new eyes and do the same all over again. What stuck out at me this time, though, didn’t have as much to do with the content of the story itself as it did with something Jesus said about the nature of God and of worship and of what we are called to- something that Eugene H. Peterson, writer of The Message, thought about in a way I had never had. 23 Yet a time is coming and has now come when the true worshipers will worship the Father in the Spirit and in truth, for they are the kind of worshipers the Father seeks. 24 God is spirit, and his worshipers must worship in the Spirit and in truth. Being ourselves before the Father. Being MYSELF. Worshipping out of our true selves. MY true self. Wow. My true self. Who is that even some days? This fallen world is full to bursting with messages about who and what we SHOULD be. As a woman, as a mom, as a CHRISTIAN, I live constantly in the middle of a veritable “should-storm” of ways of being, looking, thinking, feeling, dressing- sometimes who *I* actually am, how I was created, gets lost in the shuffle. And if I’m perfectly honest, some of the messages I hear seem to tell me that who *I* actually am is wrong. The world has very different standards from The Maker. But in a world that tells us plenty about who we SHOULD be, that divine invitation to come as we are can actually feel quite problematic. If it comes right down to it, do I even really know HOW to come as I am, just as He made me? I mean, what is OF ME, THE WAY I WAS MADE BY GOD and what is OF THE WORLD and is part of what has landed on me from the “should-storm” that constantly rages around me? Do I even know the Truth of me that God wants to see well enough to bring it before Him? It almost feels like yet another SHOULD being thrown at me. But God’s requests and invitations stand in stark contrast to the demands of the world. Just like everything Jesus put out there for us, I know that if I run after it, it will be good. The “shoulds” of the world are a fire that consumes and destroys, the divine biddings of God are a fire that refines and purifies. If I seek to worship Him out of my very being, then my very being, the one HE created just as He intended, is what I will find. This challenge, to come as I am before God, is one I’m going to take seriously and really lean into. I mean, God knows WAY better than I do and I’m quite certain His version of who and what I am and should be is FAR superior to whatever notion I’ve concocted in my head. And what better, safer, more loving place to do the work of letting down the guards I’ve put up for the world and slipping back into my truest self than in His presence? Will you join me? Will you work with me in this season on worshiping God out of your TRUEST self, the way He made you to worship Him? The things He calls us to are holy, sisters, and I’m glad to be doing them with you. Yes, I know it’s September and we don’t actually turn the calendar to 2018 for four more months (2018!!!! I mean, what? When did that happen…). But honestly, between being in school myself, teaching school, and then having kids in school, September has always felt more like the start of something new to me than January ever has. Consequently, September has always been when the REAL New Year’s Resolutioning has happened for me. This year, the resolutioning feels weighty in a way it never has before. See, we are at that point in the kid-raising where things are ramping up a notch for our family. Cam (our older) is starting full-day Kinder, Kenzie (our younger) is starting preschool, he’s doing soccer and she’s doing dance, so all of a sudden we have one kid in REAL SCHOOL, both kids in SOME KIND OF SCHOOL, AND evening activities. Feels like we are getting thrown into the deep end of the pool and we had very well better have our flotation devices ready or have finished swim lessons or something. I’m self-aware enough to know that being regimented, scheduled, and super-organized is NOT among my spiritual gifts and so this is going to present a major challenge for me and for our family. Is anyone else in that place? Puh-LEEZE tell me that I am not the only one who feels intimidated by what lies ahead of me this year. My insecurity is envisioning everyone sitting reading this like, “Psssssh, girl what is wrong? With? You? For REAL women this is our MOMENT!” If that is you, I’m envious of you, happy for you, and praying you can love me even though I’m over here like this at the thought of what’s to come. As I prayed about what my New Year’s Resolutions should look like, God really surprised me with what He came back with. He didn’t talk to me about homework routines, organizing our space, making a family calendar or anything like that- although all of those are important and on His list. What He impressed upon my heart was that what this family was going to need more than anything was for ME to get MY game right inside of me, get my heart and head in order, because nothing was going to go the way it needed to if I’m all scattered and scrambling and adrift all the time. What are the things in my life that, when they are in place, make me feel the most like I’ve got my you-know-what together? 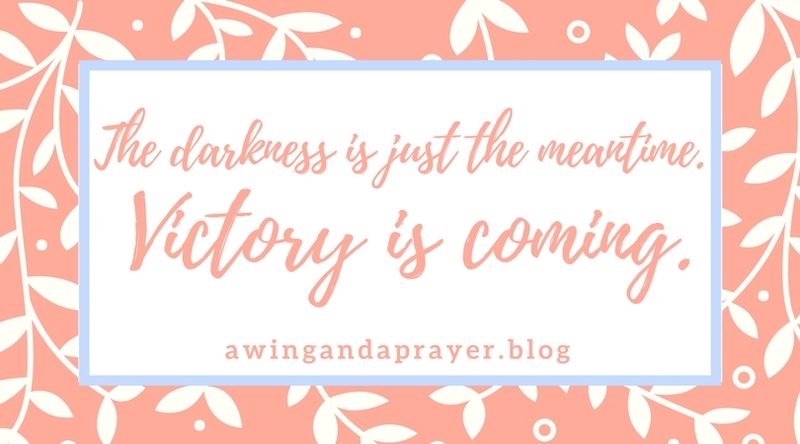 Tighten up my Heavenly Connection Game– If I attempt to walk through my days not sufficiently connected to God, I basically end up like a piñata being battered, smacked around, and ripped wide open by the fallen world around me. It’s amazing what big things don’t even faze me when I’m rightly anchored and it’s equally as amazing what little things do get me down and set me off when I’m adrift. Truly there is no such thing as ENOUGH connection to heaven this side of eternity, but that’s part of what makes our faith journey such a refining fire- we are constantly working to get better at being closer. For now, two of my girlfriends and I are walking through the “Enjoying Jesus” study from IF:Gathering that unpacks the spiritual disciplines and guides us toward implementing them in our lives. I’m excited to try them out and really work on finding pieces that will strengthen my daily routines that anchor me to God and keep the lines of communication and connection open. I’m guessing I’ll be blogging about that. Commit to MY bedtime routine– In the book Present Over Perfect, Shauna Niequist (I love her, do you love her? We are besties. Only she doesn’t know it yet) talks about making a resolution NOT to sleep in her clothes. She decided that taking care of herself meant actually putting on jammies at the end of every day and I can relate to that on such a deep level. At the end of my days, I am usually EXHAUSTED and just ready to be done, I will throw on jammies, quickly brush teeth, and leave #allthethings just as they are in my desire to just be done. The problem there is that I wake up in the morning to a messy floor, mascara under my eyes, and basically start the day two steps behind. It makes A BIG DIFFERENCE to me if I taken ten minutes at the end of my day to pick up my room and bathroom, set the living room right for the morning, actually attend to my skincare routine, maybe throw some oils in the diffuser, and basically don’t neglect stuff. I wake in the morning feeling like I’m already all over it just by waking up. Meal. Plan.- This family runs on food. *I* run on food. I have discovered over the years that our entire life can be in ashambles, the house can be a mess, we can be MILES behind the 8 ball, and yet if our meals are easy and on time and locked down, it’s somehow manageable. And for me, if I have no idea what I’m doing for breakfast/lunch/dinner, the entire day seems like so much work. I LOATHE taking the time to meal plan. I am a Big Idea Person, I would rather be solving the problems of the world than taking my brain space to attend to painfully dull minutiae like PLANNING FRIDAY’S DINNER ON SUNDAY. But I like my life so much better when I do it. And also, if I plan ahead I can ORDER my groceries for the week from Fred Meyer and PICK! THEM! UP! Without even setting foot in the store with two children. So, meal planning it is. So, there you have it. Four small things that are actually HARD things that if I do them, will make me feel like I have my ish together enough to run the show. 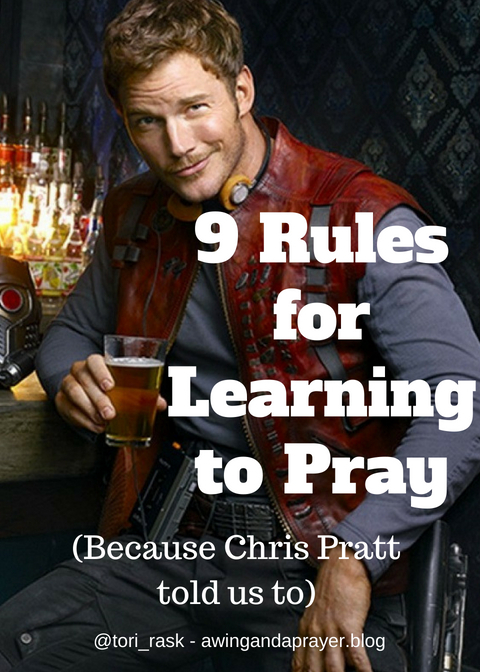 If I do those things, they will lay a foundation for the other things. Allllll of the other things. So, my sisters, what would be your Big Four? The things self-care items that you feel like will help you come from the place of strength your family needs from you as the coming months march on? Share them with me! Let’s hold each other accountable, encourage one another, commiserate when we fail, congratulate when we nail it, and be better people together. Today, I loaded my kids in the car and we went for a walk at a nearby nature park. That doesn’t sound like a particularly momentous thing for a mom with two littles to do, but for this particular mom on this particular day, it required A LOT OF sucking it up and putting on of the proverbial big girl britches. It has been a rough few weeks over here for various reasons, lots of growing pains for all of us combined with a cold virus that has packed a powerful punch of fatigue. I didn’t feel like doing anything but throwing a movie on for the kids and laying on the couch wallowing, but we had already done that EVERY OTHER DAY THIS WEEK, so it felt like a change of pace was the grown-up thing to do. And we all know that being a grown-up is severely overrated at times. When we got there, the kids took off running. They got sick before I did and so of course are feeling better before I am with all of the energy and enthusiasm that I lack, bless all of our hearts. First, they started noticing that someone had put brightly-painted rocks along the path and the kids were SO EXCITED ABOUT finding all of them. I mean, there I was surrounded by the bright beauty of a brand new spring with happy, excited kids who were being delightful and hilarious and my heart just would. Not. Lift. I didn’t feel good in either body or spirit and I couldn’t get myself to the place I felt like I should be, to the place that I felt like would have been honoring to God in light of the blessings of that moment. I decided that as long as I was there with nothing else to do, I might as well pray. I couldn’t muster much, so I went simple and lifted a few short prayers for those around me who are DEFINITELY in the middle of some very heavy seasons that make mine look like a day at the beach: My friend with the daughter who’s having seizures, the friend with breast cancer, another friend who just lost a cousin to an overdose, my friends in the throes of divorce, someone near to me with an upcoming surgery. That was a counterintuitive message for me in that moment. When the going gets tough, when the path is dark and difficult and our footsteps stumble, we are quick to chide ourselves, to deepen our despair with a recounting of our failures. Not to mention that the enemy of our souls loves to capitalize on the moments when we are down, whispering that we aren’t enough, that our prayers aren’t enough, so why even try? But that isn’t God’s way. He just happens to be the best parent that this world and the next have ever seen and He sees our circumstances and struggles for what they are and loves us right through them. There are also moments when we say to our kids, “I know you can do better than this,” moments where we don’t back down from expecting their best because it’s our job to push them to step up and grow. But, if we are on our parenting game, those are NOT the moments when they are tired, not feeling good, having a rough day, or facing a task that is really difficult for them. And my sisters, God is ALWAYS on His parenting game. He can read our hearts even better than we can because He knit them together in our mother’s wombs and He has numbered our steps. He has also walked on this earth and lived among us humans in the person of Jesus. He gets it, He knows, and His vision isn’t clouded, even when ours is. In those tough moments, when the best we can muster is going through the motions and saying the words even if our hearts don’t seem to follow, He will meet us where we are. He sees us trying and CHOOSING HIM, even if we aren’t that great at it in the moment, and it MATTERS. So be brave, my sisters, and try. Whatever you’re facing, whatever your battle or dark season looks like, choose to do the right thing, put one foot in front of the other, and approach Him with whatever strength you’ve got. Because He looks on us with eyes of a Father, can reach down and meet us in our struggles and fog, and can Himself fill in that gap between earth and heaven. Your trying matters, Mama. So keep it up.